You are here: Home / reviews / Labelling made easy! Three children means a LOT of stuff to label, I’ve given up with sticky labels and started using a sharpie, but but the Brother P-Touch H75 has converted me back to labels again. The tape is available is in different colours and widths, although we have only tried the black on clear. The labels have been brilliant for water bottles, lunch boxes, shoes and even school projects. Zak used them to label the rooms in his model building last term. The girls have LOVED using it to practice spelling words and labelling everything in their room…….I wouldn’t recommend this a a cost effective learning exercise though. New tape cassettes are about £9, but are easily available and if used sensibly would last a long time. To print with you just type word, add a funny icon if you want and then print. 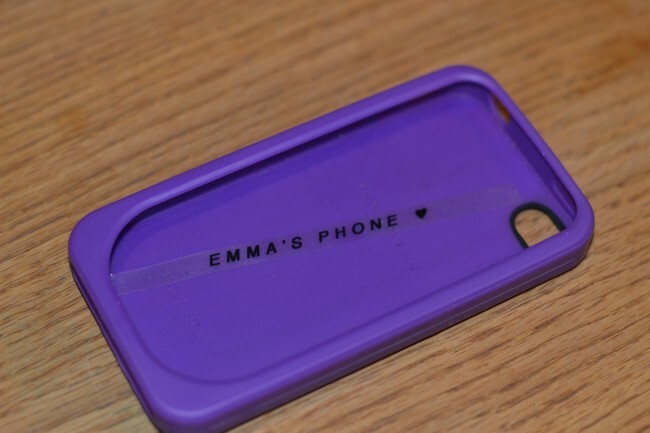 The handset even has a cutter on the side so you have a ready to use label in seconds. I was VERY impressed that labels stayed on water bottles even after dishwashing. We’ve used the labels for food storage containers, craft boxes and much more. It really is an extremely useful gadget and makes life that little bit easier. 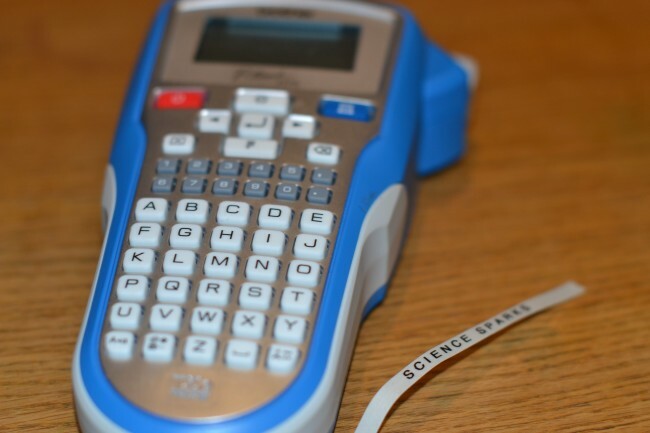 The Brother PT-H75 Handheld Labelling Machine is available from the Brother website for around £15. We were sent the PT-H75 for the purpose of this review.